Upcoming Events | Italian Research Institute | Georgetown University | Ciao Washington! 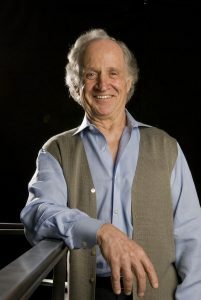 Wednesday, February 7th, 2018 at 5:30 p.m.
Mario R. Capecchi, Ph.D., was born in Verona, Italy, in 1937. He received his Bachelor of Science degree in chemistry and physics from Antioch College in 1961 and his Ph.D. in biophysics from Harvard University in 1967. After six years on the Harvard School of Medicine faculty he joined the University of Utah as a professor of biology in 1973.